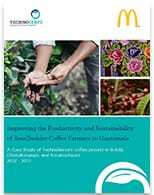 TechnoServe worked to improve the prosperity and sutainability of Guatemala's smallholder coffee production by teaching new farming techniques and encouraging women to take on more decision-making roles on the farm. As many countries around the world settle into a cold winter, consumers turn to hot beverages for comfort. In fact, global coffee consumption is typically around 12 percent higher during these colder months for the global north – which is home to the majority of the world’s coffee-consuming heavyweights – when compared with summer months. However, while coffee consumers are cherishing their steaming cup of joe, many coffee producers across the globe are hard at work gathering their coffee harvest. In Guatemala the harvest season is at its peak, and approximately 120,000 smallholder farmers – those working less than 3 hectares of land – are collecting their crop. Coffee plays an important role in the household economies of these smallholders – who contribute to around 90 percent of the country’s total coffee production – making up nearly 60 percent of their earnings. But in recent years, that crucial income has come under threat as leaf rust, borer beetles, drought, and other challenges inhibit production. Meanwhile, Guatemala’s coffee communities have often never had access to formal training and are ill-equipped to face these obstacles. These communities often speak their local indigenous languages rather than Spanish, making standard resources methodologies difficult to implement. 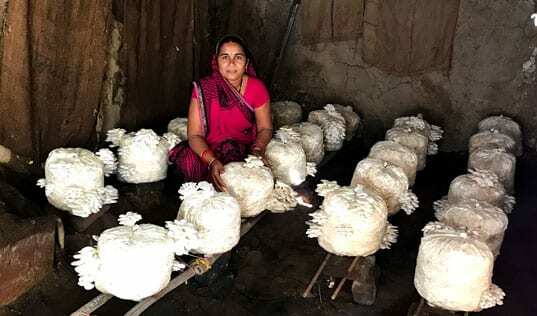 Traditionally they have passed down their techniques through generations of family members and neighbors, but in the face of increasingly common barriers to production, their yields – and livelihoods – have suffered. Juan Carlos Cholotio began agronomic training with TechnoServe when the coffee borer beetle hurt his coffee yields. The program helped more than 15,000 farmers to increase their yields. Juan Carlos Cholotio knows this story all too well. He had been on a coffee farm for most of his life, first as a worker on a large coffee farm and then as the owner of his own small farm. But, in 2013, Juan Carlos noticed that his coffee cherries began to lose weight and, by extension, value. An infestation of the coffee borer beetle had struck his farm, and Carlos didn’t have the technical knowledge to save his farm. TechnoServe had been providing training to farmers like Carlos in Guatemala since 2011, helping them to adopt better farming practices and sustainably increase their yields. 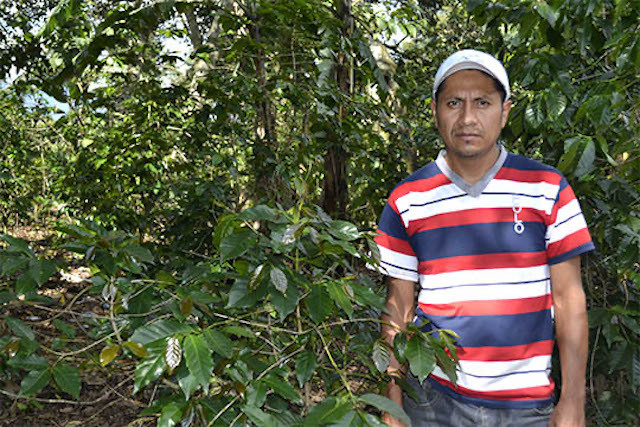 When Juan Carlos joined the program, he began working alongside the project’s agronomist and a local community trainer, who provided him with the information he needed to fight the coffee borer. This practical, in-the-field learning was an essential tenet of the program, which closed in 2016. 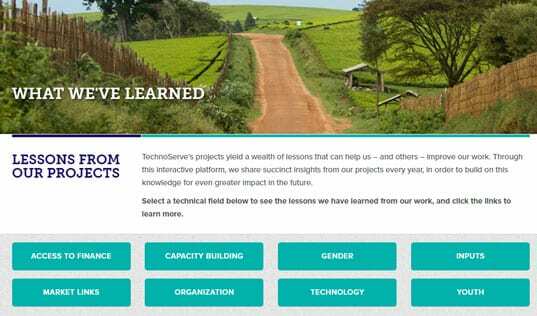 In order to continue the community-level learning that characterized many of these isolated coffee communities, TechnoServe held all training sessions on a volunteer farmer’s land, which served as a demonstration plot. 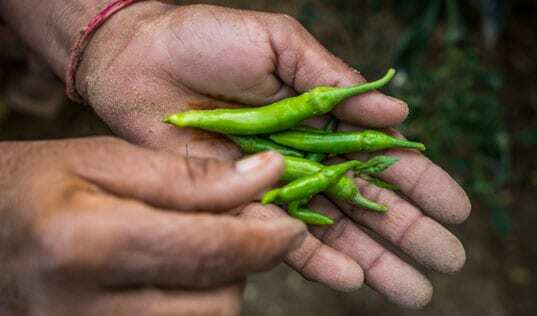 By holding all trainings locally, amongst neighbors, farmers could see and understand new best practices first hand, even if they were unable to read, write, or understand Spanish. Elena Bizarro offered to use part of her coffee farm as a demonstration plot for community agronomic trainings. These plots help farmers to see the results of new techniques before applying them to their farms. 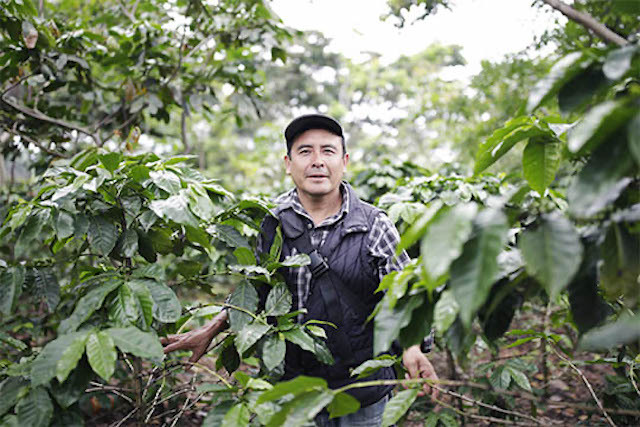 One of such demonstration plot owner is Elena Bizarro, a 57-year-old coffee farmer in Alotenango, Guatemala. Elena joined TechnoServe’s program when she began struggling to support herself from her coffee earnings. Her husband had passed away, her six children had moved to the city, and although she’d always helped her husband on the farm, she didn’t feel she she had the skills she needed to make it thrive. When project staff noticed her drive, they asked if she’d be willing to offer part of her farm as a demonstration plot for community trainings. “I felt so proud having people come and learn at my place,” she said. But Elena is an inspiring example in other ways as well. 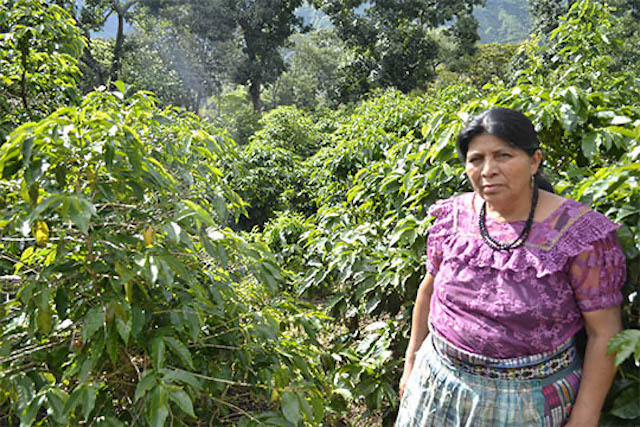 Traditionally, women in Guatemala have limited participation in coffee production, as seen by Elena’s frequent support on the farm but minimal decision-making experience while her husband was alive. 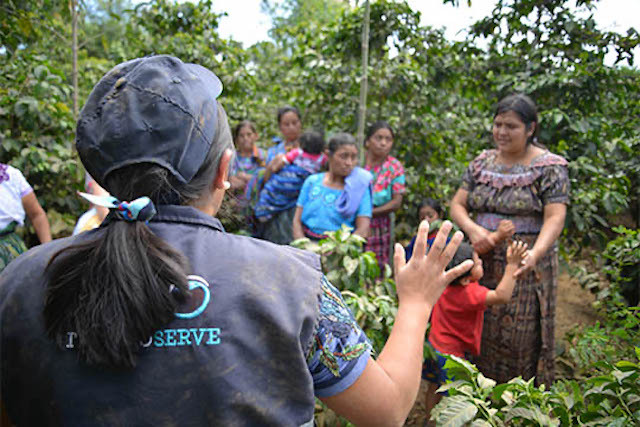 In order to support women’s more active roles in coffee farms and households, TechnoServe promoted female participation in the project, both as participants and demonstration plot leaders. Victor Quiñones, a community trainer working with TechnoServe, taught farmers new practices in practical, in-the-field training sessions. Armed with the knowledge he needs to succeed and adapt in an increasingly challenging and dynamic coffee production system, the change on Juan Carlos’s farm is a vision not only of better yields for this season, but for the future. With his increased income he is saving to buy more plots, plant new coffee, and to continue to improve his farm and his livelihood. Over the course of the project TechnoServe trained 15,129 farmers, increasing their income by an average of 35 percent.